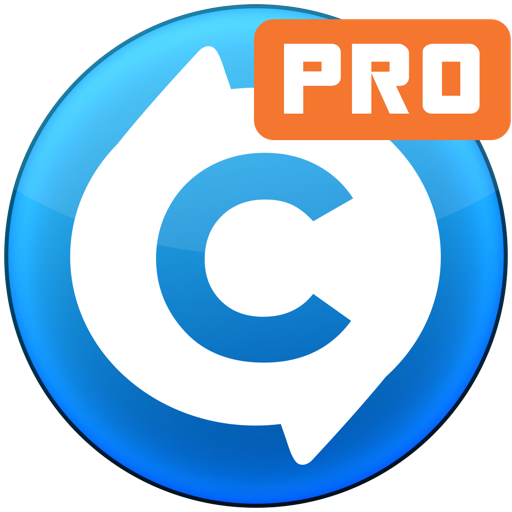 Total Video Converter Pro: DVD by etinysoft Inc.
Total Video Converter Pro 비디오를 변환하고, 자르고, 편집하며, 만들고, 개선하며, 보는 모든 기능의 완벽한 비디오 툴박스입니다. 30X 배 더 빠른 변환 속도의 거의 모든 비디오와 오디오 포맷을/에서 비디오를 변환합니다. 애플 TV, 아이패드, 아이폰, 아이팟, Xbox 360, 플레이스테이션 3, PSP 및 블랙베리, 노키아, 삼성 등 휴대폰용으로 비디오를 변환하는 최고의 오디오 비디오 변환기입니다. • 직관적인 대화식 타임모든 비디오 포맷을 편집합니다. • 비디오를 구조적으로 정확하게 원하는 클립으로 자릅니다. • 비디오에 배경 음악을 추가합니다. • SD 및 HD 비디오를 NTSC/PAL DVD로 고속으로서 버닝. • GIF 움직이는 이미지는 비디오에서 축출될 수가 있습니다. • Flip, Gray, Rotate, Smooth과 같은 효과가 여러분의 비디오를 생생하게 하여줄 것입니다. • 완벽형 지원 출력 장치:iPad, iPhone, iPod, HDV, DV, PS Vita, Xbox 360, PS3, PSP, Blackberry, Nokia, Samsung, Android, Zune, Creative Zen. • 고호환성 HDV, DV 비디오 포맷: *.mod, *.tod, *.m2ts, *.evo, *.vro, *.mts. • 입력 비디오 포맷: WMV, MKV, AVI, DivX, XviD, MPEG, MP4, QT, RM, RMVB, M2TS, M2T, MTS, FLV, MPEG, MPEG2 TS, ASF, 3GP, 3G2, GIF, H.264/MPEG-4 AVC, H.264/PSP AVC Video. • 입력 오디오 포맷: MOV, FLV, WAV, MP3, MP2, AAC, M4A, WMA, FLAC, AMR, AWB, OGG, MMF, AC3, AU. • 출력 오디오 포맷: WAV, MP3, MP2, AAC, M4A, WMA, FLAC, AMR, AWB, OGG, MMF, AC3, AU. * Email market@effectmatrix.com for any issue. We will resolve it ASAP. 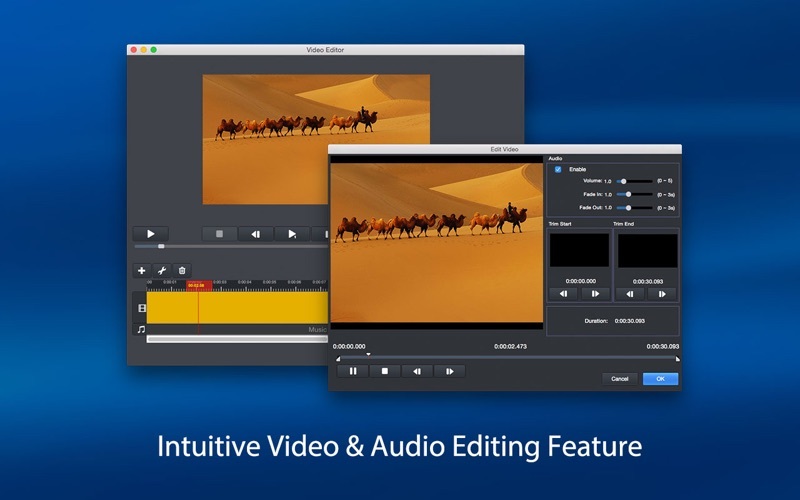 * Freebie: Users who buy "Video Editor MovieMator Pro" TODAY will get a free license of "Total Video Player Pro" ($29.99) - World's No.1 Blu-Ray Player to smoothly play HD&4K videos. The freebie is only available for today's purchase. Email market@effectmatrix.com for the license with your purchasing record, date included. 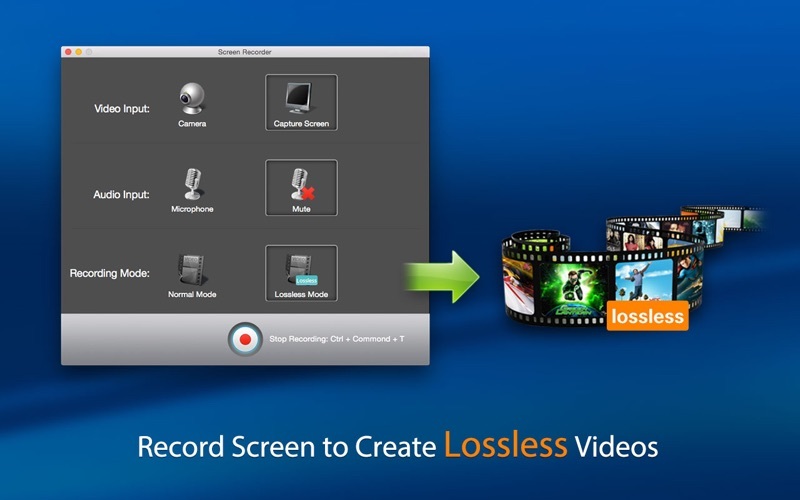 * Optimized video conversion speed. * Bugs were fixed emergently. 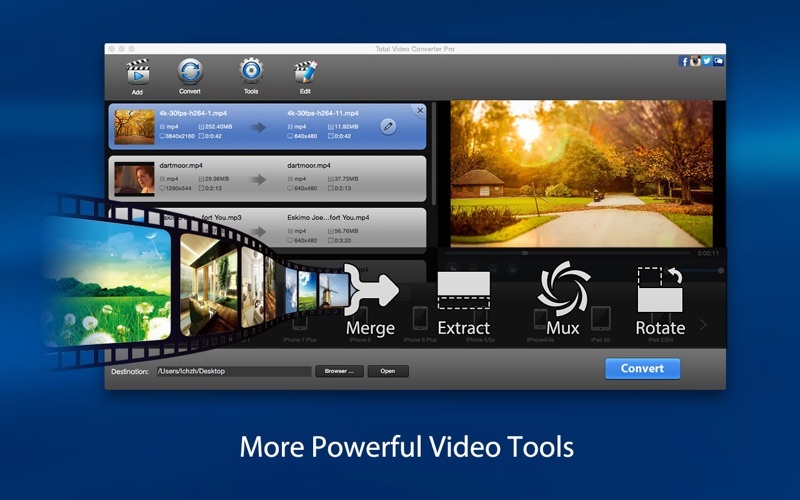 * Freebie: Users who buy "Video Editor MovieMator Pro" TODAY will get a free license of "Total Video Player Pro" ($29.99) - World's No.1 Blu-Ray Player to smoothly play HD&4K videos. http://www.macvideostudio.com/total-video-player-mac.html The freebie is only available for today's purchase. Email market@effectmatrix.com for the license with your purchasing record with purchasing date included.